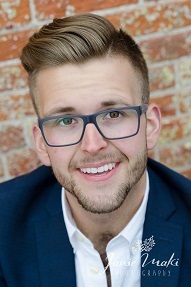 Matthew B. Kornegay is a Scenic Design and Technical Production Graduate Student who graduated in May of 2016 with his Bachelor of Art in Technical Theatre from Saint Mary’s University of Minnesota in Winona, Minnesota. While at Saint Mary's, Matthew worked countless hours in the scene shop holding a variety of roles including Scenic Designer, Technical Director, and Master Carpenter. With that experience, Matthew had the opportunity to work for the Hangar Theatre in Ithaca, New York for the past two summers in their Scene Shop, and intends to branch out into additional summer stock design opportunities during his time at the University of Virginia.